“Jenny” is a child protective service worker who helps children every day. 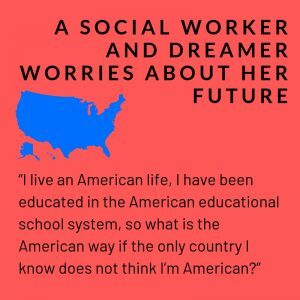 She has lived in the United States for most of her life, but is still an undocumented immigrant. She worries about her and her family’s future and the state of DACA. Editor’s note: Due to the sensitive nature of today’s political climate, details and names have been changed for the sake of the source’s safety. All information in this feature is factual. “Jenny” speaks about her fears about the future of DACA and her life going forward. Jenny presents the facts of the case including the issues, the abuse allegations and whether the parents are fit to take care of their children, in front of the judge. She works to help at-risk children. The fear of tearing families apart, children left without parents and leaving children to fight alone are just a few examples of Jenny’s fears. Most of Jenny’s clients and coworkers don’t realize that she was almost separated from her family as a child. Deferred Action for Childhood Arrival (DACA) is a blessing for Jenny and her family. DACA has allowed many children, including Jenny, to stay in the United States legally. The program has helped more than 40,000 people, a number that continues to increase. 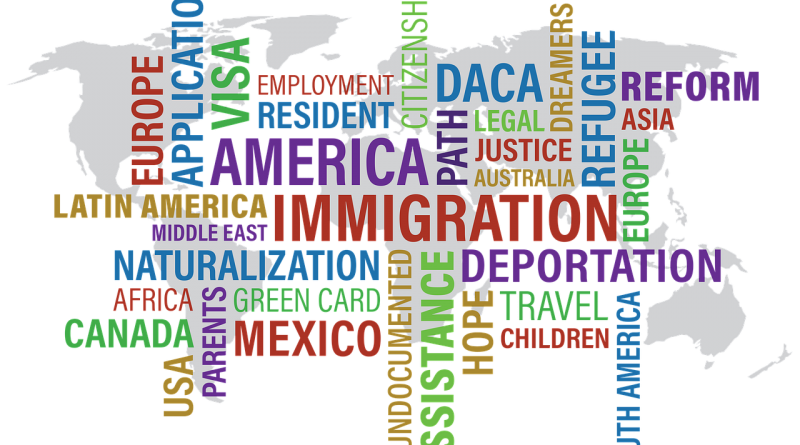 Individuals who are brought to the United States as children are protected from deportation under DACA. The program gives recipients a temporary legal status that allows them to work and go to school. 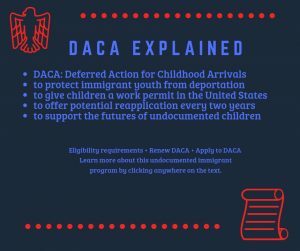 DACA does not grant financial assistance such as financial aid. Jenny is exhausted. She’s been awake and on the road since 5 a.m. Jenny’s husband works 30 minutes away from their home and doesn’t possess a license. The extra time doesn’t matter to her. She worries that her husband would be stopped by police and face deportation. He works off the books. His boss is aware of his immigration status, but continues to provide him with a job because of his hard work and years of dedication to the company. Jenny works as a social worker and can travel without worries. Jenny’s job requires her to find safe homes for children if they are at risk in their own environments. She visits her clients at their homes to see if everything is okay and if the children are being fed and treated well. Jenny has an associate degree in human services. She was a teen mom, pregnant during her senior year of high school, and continuing her education was hard. “It wasn’t always so easy. I wanted to give up school and run away from everyone,” Jenny said. Jenny drove to her mother’s home where she saw her family playing outside together. Her husband, who got off work two hours earlier, was waiting. Both little girls ran to their mom, hugging her legs and grabbing her hands. She smiles while she looks at them and gently picks up the youngest one, who rests her small head on Jenny’s shoulders. Thursday afternoon, Jenny was home. Her eyes were tired and she suffered a migraine from overwhelming stress at work. Her problems are not the same as others’. She lets her thoughts take control over her, letting one after another cause dread. Her eyes show the late nights she stayed up working on paperwork. They also show all the early mornings on the road, dropping off her husband at work and her little girls at their grandmother’s home. A lifestyle that could easily change for the worse in just one second- if immigration found out. Jenny always had a plan. Doing the “right thing” was always something she aspired toollow and prosper from. She pictured herself going to college, getting married and having children. “I had a lot of expectations from my parents. They expected me to do everything the right way in having kids at an older age but it just didn’t work out that way […] my parents expected the right thing from me and others expect me to do the right thing in becoming a citizen. 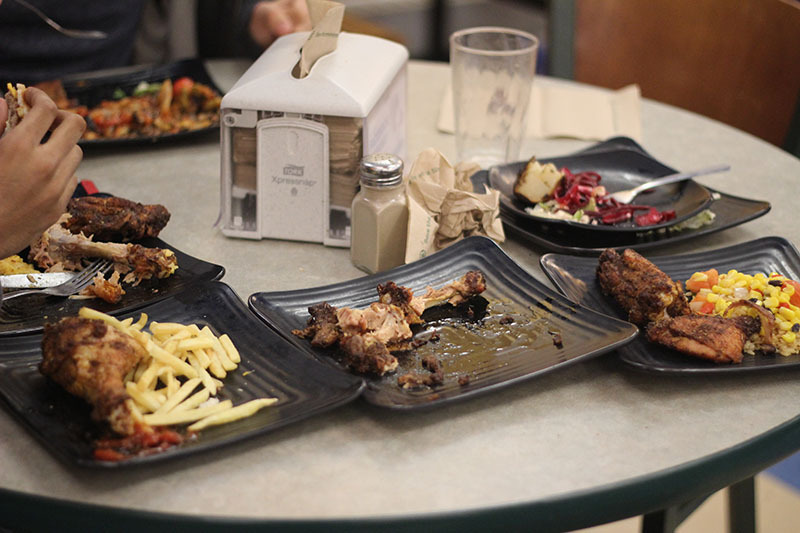 It’s just not as easy as it sounds,” Jenny said. Jenny’s parents came from Mexico to the United States 25 years ago. They’ve lived here ever since. “My parents, I admire so much. I don’t want to say they came for a better life to the U.S. but I want to say they came so I can have a better opportunity in accomplishing my dreams,” she said. Despite being a teen parent, Jenny’s opportunities never ended. Her parents did not allow her to leave school because they valued the power of education. Jenny did not see the true challenge of what it is to be undocumented or a DACA recipient until her first year in college. Jenny aims to change and break the walls of the stereotype that has been placed on her. “The stereotype is that a teen mom and even more a latina, once she is pregnant, everyone expects her to just stop right there. That there is no other path and that basically you’re stuck.” Jenny wants to give a different outlook to who she is and how people may view her considering who she is and where she comes from. “I live an American life, I have been educated in the American educational school system, so what is the American way if the only country I know does not think I’m American?” Jenny said. School was stressful for Jenny. When she tried to apply to college, Jenny learned that she would not receive any financial aid or scholarships because she isn’t a U.S. citizen. After finishing two years in a community college, she went in search of a job in her field. During this time, Jenny was working in a program that helped young moms take care of their children. The program offered help to young moms in need by giving out clothing, toys, food and formula for the children. It was her dream to do this kind of work. Jenny’s faith in God and that in the end, good things will come has helped her in life.Her program came to an end and her service would no longer be needed. “I knew there was something wrong when I came in. I saw the faces on my co-workers and knew I was going to be next, she recalled. Jenny was called into her boss’s office and received the news that the program ended. Jenny says that it felt like a normal day even though it was their last. “I held on, trying not to cry, but all I could tell the young moms was that we would no longer be providing our service,” Jenny said. Jenny was packing her stuff, finishing her day when she was called back into her boss’ office. Confused as to why, she was told that she could stay. She was needed in another program where she would become a social worker and have to go through intense training. Jenny was grateful she was going to be able to stay, but her heart ached knowing that her other coworkers had been dismissed. Jenny has gotten so far and has accomplished many of her goals. She is working on accomplishing more. She wanted to speak of what inspires her while she was relaxing in her home on her day off. Jenny looks out the window, remembering who it was that inspired her to do what she does. She is sitting on the kitchen table covered by a red floral cloth. She is drinking her morning coffee and the smell of fresh roasted coffee fills the room. It is 12:22 p.m. and her white kitchen is illuminated by the sun giving the room a soft yellow light inside. She clutches her coffee that says ‘Family First’ and stares back at me. Her eyes seem watery, but happiness surrounds it. Jenny finishes taking her sip of coffee before proceeding to speak of how she has felt left out by being a teen mom, a DACA recipient, or anything along the lines. “I have always felt left out, especially in my job now among my coworkers. I am the odd one out,” she said. Jenny spoke of her desire to one day travel out of the country. She recently attended a work gala where the company raised $10,000. The event was giving away four tickets to Mexico for vacation that was worth a lot of money. Everyone in her job was bidding $200, $300 and so on for the tickets. But Jenny was the only one that did not because she cannot leave the country due to her status as a DACA recipient. Jenny says it’s upsetting at times but she has everything she needs. “I have both of my parents, my girls have good health and my husband has a stable job. I’m okay. I know I am,” Jenny said. Everything that Jenny has gone through has made her stronger. Her presence is something to remember.